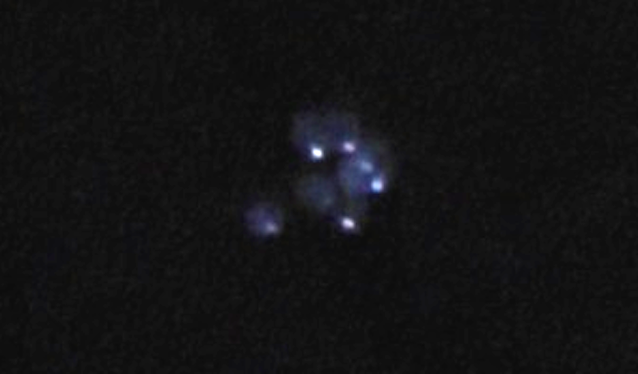 UFO SIGHTINGS DAILY: Glowing Purple UFOs Light Up Sky Over Crimea On Aug 9, 2015, Video, UFO Sighting News. 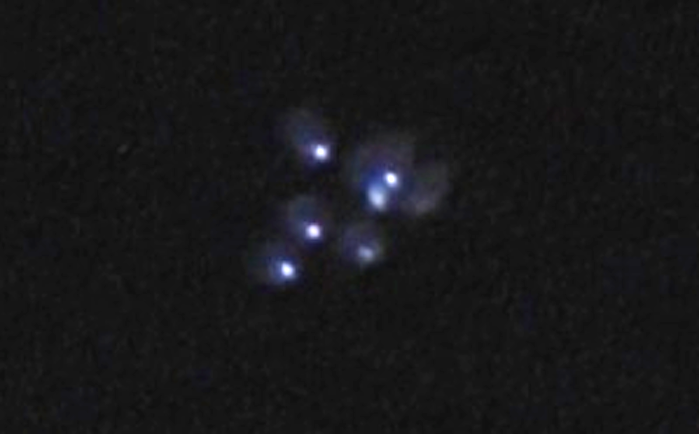 Glowing Purple UFOs Light Up Sky Over Crimea On Aug 9, 2015, Video, UFO Sighting News. First off, these UFOs were seen over a ocean coastal area. They probably have a base below the black sea. The large orbs seem to have the ability to separate themselves from one another and reunite again later. Although we can only see a fragment of the video, it looks and sounds authentic. I will try to get the full footage. "On this day, roughly around 23 hours and 30 minutes (11:30pm) I went to water the flowers on the balcony. I saw how from the house next door, and noticed what at first thought was a satellite flying, but turned out to be a huge beautiful cluster of UFOs. In size and color reminiscent of the stars. The cluster has been stretched and moved to the south-east to south west. In it were about 30 UFOs, not less, " wrote Victoria. According to the woman, the cluster presents the main ship called the "Mothership." "In reviewing the captured video, we saw that it was a very dense cluster of UFOs. It moved in a band and change their positions. Then they started to rise. Instantly realizing that the cluster was leaving our field of view, my his son ran into the street. In the courtyard on a bench sat a man and a woman. They were loudly discussing incredible fact of the UFOs overhead. Over time, the UFOs began to resemble a light cloud, cobweb, as their ship "Mothership" - an ordinary star, "- said the woman. Pay attention to the video, says Victoria, the main ship captured a UFO. "Its not the stars - that's for sure. Unfortunately, the camera cannot convey the beauty of the spectacle, and the beauty is not fully included in the frame. What she saw was breathtaking. On discovering that the cluster disappeared, a man sitting on a bench in the yard, said to his companion "Come, lets go home - to prepare. And then we will arrive for them to pick us up. "After these words, they were all gone," - finished letter. What it is? 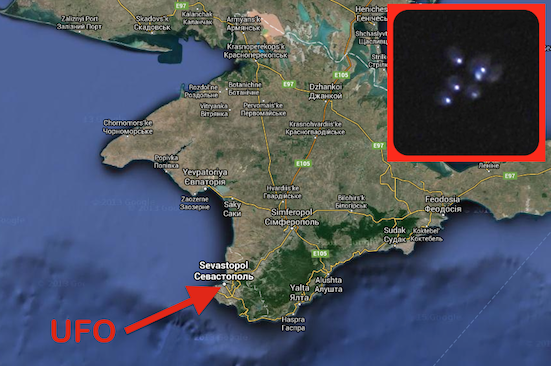 Are unidentified flying object "hovering" over Sevastopol? Or was it an optical illusion?